"And The Echoes of Memory"
On The Librarians Season 4 Episode 12, after the world is morphed into a horrible and unrecognizable place, it’s up to Baird to bring the Librarians together again. "And the Trial of One"
On The Librarians Season 4 Episode 11, it's time to choose the singular Librarian to tether with Baird, but no one can decide so the Library must help. 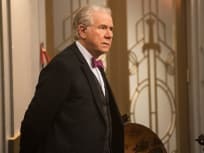 "And Some Dude Named Jeff"
On The Librarians Season 4 Episode 10, Jenkins ends up body-switching with a 28-year-old slacker named Jeff and must find a way to correct the mistake. "And a Town Called Feud"
On The Librarians Season 4 Episode 9, the Librarians have to uncover the truth of what really happened there over 100 years ago in a town plagued by ghosts. On The Librarians Season 4 Episode 8, when Cassandra freezes up during a mission, she decides to head to Havenport, the "Safest Town in America." 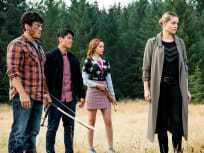 On The Librarians Season 4 Episode 7, Baird takes the Librarians to a team-building camp in a forest where people have been mysteriously disappearing. "And the Grave of Time"
On The Librarians Season 4 Episode 6, Baird tries to fix the rift with the Library and ends up joining Nicole Noone in a mission to find a dangerous artifact. 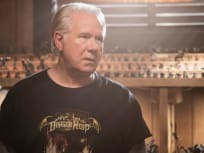 On The Librarians Season 4 Episode 5, a Librarian from the past teams up with the Librarians of the present to take down an ancient and powerful enemy let loose today. On The Librarians Season 4 Episode 4, Flynn and Baird are sucked into Baird's favorite classic film noir movie where they need skills to make it out alive. On The Librarians Season 4 Episode 3, when Ezekiel's career criminal mother steals the magic door, they must use Santa's sleigh to save her.